Anyway, digression aside, this is a very enjoyable and informative little book that packs a lot of useful and practical information into a small number of pages. 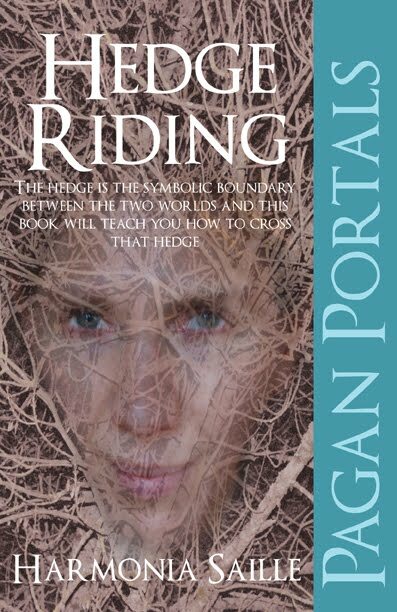 A great jumping off point for further study, this book introduces the reader to the tradition of Hedge Riding – an important aspect of Hedge Witchcraft. The author explains how Hedge Riding can be used by the solitary practitioner to travel to the upper and lower realms to gain spiritual knowledge and connect with spirit guides. She provides a concise description of the nature and structure the realms, from the divine spirit guides of the upper realm, through the middle every day realm the lower realm inhabited by animal guides, to the under world inhabited by the souls of the dead. The author also delves into the history and place of Hedge Riding within Shamanic, historic and literary traditions. She even manages to gently touch on the sometimes thorny issue of whether it is more appropriate to work with local deities and fauna or non-local traditions you may feel particular affinity with. The book also contains a wealth of practical advice and personal recollections about embarking on Hedge Riding journeys. There is a great quote in an old-ish Doctor Who episode “A door, once opened, may be stepped through in either direction” – it seems the same caveat could apply to hedges as well – from the outset the author is at pains to emphasize that it requires years of experience and a pretty thorough understanding of Shamanic practice before attempting this….however she does a good job in providing the reader with enough information and step by step guidance to set out safely on this fascinating and universal path. Harmonia Saille has been practicing hedge witchery for 15 years, has authored a number of books and articles on the subject and also runs practical workshops. She has also lectured on Modern Pagan Witchcraft at a UK university. Here is a quick update on a post I recently reblogged from Coven of the Catta/Blau Stern Schwarz Schlonge ‘My fight as an ordained witch priest to legally perform marriages in Pennsylvania’. The fight for Ordained High Priests and High Priestesses to perform legally binding marriage ceremonies in Pennsylvania has been won! Well done to Shawnus and his Coven for taking on the fight and winning! Hopefully this local victory for the Coven will translate into wider tolerance and acceptance that not everyone follows a ‘religion of the book’ and that there are equally valid alternatives to the mainstream religions. This is a very passionate article about an important issue. Modern witches still face many cultural and legal prejudices – Shawnus, a 3* high priest is currently engaging the Christian biased state laws of Pennsylvania for the right to perform legal marriages as an ordained witch. As you all know i am Shawnus Merlin Belarion 3rd* High Priest of the Coven of the Catta. I started my path 33 years ago and about 7 years later attained this level of initiation. There are three others at the level of 3rd* HPTs and HPSs who are active in our coven. I and others are also registered online as a minister in the Universal Life Church which does not mean much to Federal, State or County governments, but i still encourage everyone who is part of a “fringe religion” as society thinks we are to become a minister through them and to support their cause. Wallsend is a small town in the North of England. It is easily overlooked – just another post industrial town that has lost its heavy industry and been taken over by call centres and service industry jobs. But Wallsend has a long history. The Roman’s called it Segedunum when they built their fort at the end of Hadrian’s Wall (end of the wall – Wallsend – get it?). Through the centuries farming gave way to salt panning, glass-making, coal mining and shipbuilding. For the Roman’s, Wallsend was the end of the world, the border between civilisation and barbarianism, and in such a place anything can happen. Halloween seems an appropriate time to share one such dark tale – a tale of witchcraft and necromancy. The following extract is taken from the ‘Monthly Chronicle’ for April 1888 and it describes, in wonderfully florid Victorian prose, the supposed encounter between one of the famously colourful Deleval family and the infamous Wallsend Witches. Upon the communion table, at each corner of which was placed an inverted human skull containing some inflammable substance that burned brightly, he saw extended the body of a female, unconfined, and partly unrolled from the winding sheet, while around it, apparently occupied in the preparation of charms, sat a number of withered hags, one of whom was at that instant employed in cutting with a knife the left breast from the corpse. The beldam who operated as dissector, and who, with stubbly beard, ugly buck teeth, red fiery eyes, and withered, wrinkled skin, seemed the likest imaginable counterpart of one of Macbeth’s witches, handed the severed breast to one of the other hags, who went off with it in the direction of the belfry, where she was lost to sight. Delaval, who believed he saw before his eyes only a set of detestably wicked old women, fit to be burned at the stake for their dealings with the foul fiend, as well as for their desecration of the consecrated building, determined that he would make an effort to stop their proceedings. So he applied his strength to the door of the church, burst it open, and rushed in, to the utter consternation of the assembly. Each of the hags endeavoured to save herself by flight. Some climbed up to the roof, and took their departure through the openings in the belfry. Others managed to get out at the door or the windows. But Delaval succeeded in laying fast hold of the beldam in whose hand the knife still gleamed, and managed to tie her hands behind her back with his pocket handkerchief, in spite of her hard struggles and horrid curses. When Delaval had taken a hasty look at these devilish preparations for love and hate, charms and incantations, he hastened off with his captive, and bound her on horseback behind the servant. He kept her securely until she could be brought to trial, whether at the assizes, the sessions, or the baron’s own court tradition sayeth not; but certain it is that she was fully convicted of being a witch, as well as a sacrilegious person, and sentenced to be burnt on the seashore in the vicinity of Seaton Delaval. And now followed the most marvellous part of the story – so marvellous, indeed, that we must beg our readers to take it, as we ourselves do, with a grain of salt. When the sentence was about to be carried into execution, the witch requested to have the use of two new wooden dishes, which were forthwith procured from the neighbouring hamlet of Seaton Sluice. The wood and combustibles were then heaped on the sands, the culprit was placed thereon, the dishes were given to her, and fire was applied to the pile. As the smoke arose in dense columns around her, she placed a foot in each of the utensils, muttered a spell, cleared herself from the fastenings at the stake, and soared away on the sea-breeze like an eagle escaped from the hands of its captors. But when she had risen to a considerable height, one of the dishes which supported her lost its efficacy from having been, by the young person who procured them, dipped unthinkingly in pure fresh water; and so, after making several gyrations, the deluded follower of Satan fell to the ground. Without affording her another chance of escape, the beholders conveyed her back to the pile, where she perished amidst its flames. OK – first things first – apologies to any real-life witches/pagans reading the above tale with its stereotypical hideous hag-like witches – history and folk-lore do tend to give witches a bad rap, I’m afraid! 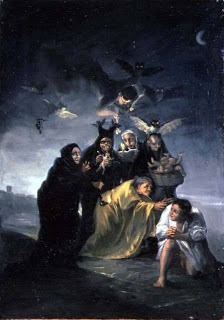 It seems quite plain that unlike the historically attested Newcastle Witches the Wallsend Witches belong to folklore rather than fact. The tale as quoted above was reported in the Monthly Chronicle of 1888. The Monthly Chronicle cited the most famous teller of the tale as Sir Francis Blake Deleval (1727 -1771) although it notes that even in his day the tale was well established. Sir Francis belonged to that family of originals, the Delevals, who seemed to easily attract tall tales and legends; and himself was famous amongst other things for accepting a bet to build a castle in a day – Deleval won the bet and Starlight Castle still stands in Holywell Dene, in ruins now, a testament to Deleval hubris. Sir Francis was also a noted theatrical and practical joker and one can imagine him regaling his drinking companions with a tale of supernatural derring-do accredited to one of his ancestors. He was also a bit of ladies man and the idea of scaring the petticoats off some of his fashionable lady friends might have also appealed to him! However even the ‘historic’ elements of the tale seem suspect, as Alan Fryer points out in his article on the Wallsend Witches. It seems unlikely that even in an earlier age a Deleval would have had the legal remit to order a capital punishment on a witch. 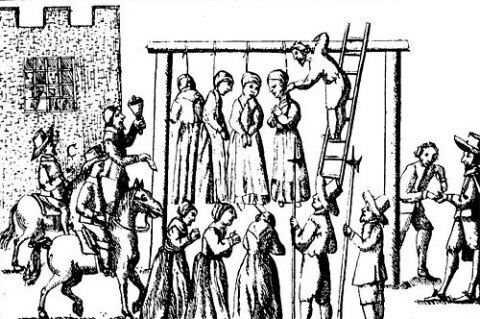 And of course, in the main, witches were hanged in England not burned. Perhaps it owes some of its embellishments to the tale of the Berwick Witches who were burned just across the border in 1590 – part of the confession of Agnes Sampson involved diabolical shenanigans in a church. Despite its historical implausibility, the tale of the Wallsend Witches stands out as a relic of a less industrialised and disenchanted age. An age where the Lord of the Manor was the dashing hero of the hour, upholder all things decent, and wicked witches practiced the dark arts in derelict churches and could make their escape on crockery – I leave the reader to judge which of these elements they think the most unlikely! Holy Cross Church can be approached either from a neatly kept housing estate, or via the grounds of Wallsend Old Hall. The latter way offers the most interesting route, winding along the course of the burn, under a canopy of old trees, then up the steep steps, hemmed in by hawthorn and brambles, towards the old church itself. You can still find a riot of nature and wildlife following this track even so close to the heart of the town. It’s not difficult to imagine that to traverse it by moonlight with dark branches casting spidery fingers across your path, foxes barking in the undergrowth and perhaps a mysterious light up ahead…you might, perchance, meet with the Wallsend Witches. All other photographic images by Lenora. 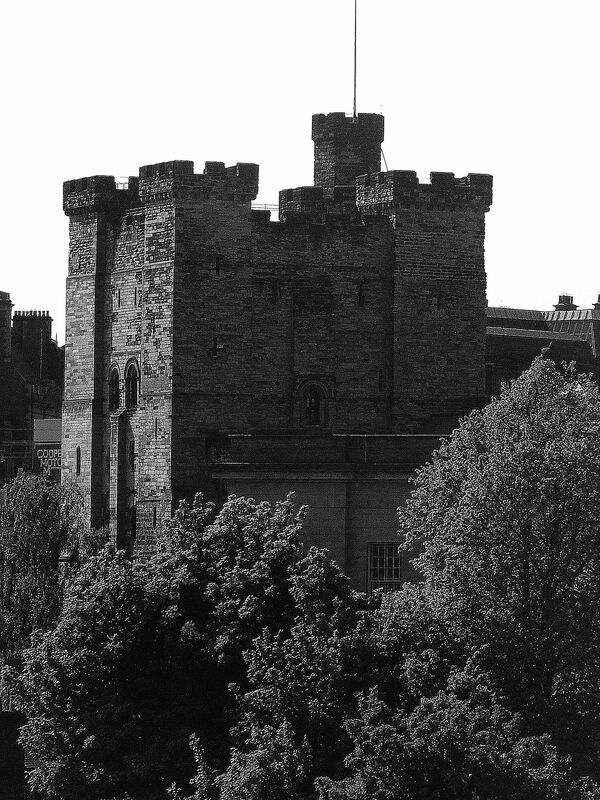 The case of the Newcastle Witches lead to one of the biggest witch trials in England, yet the story is not as well-known as the infamous cases at Berwick and Pendle. This is a tale of a ruthless City Corporation, a coal monopoly, a corrupt witch-finder and how a skeptical Lieutenant with an eye for the ladies saved an accused witch from the gallows-tree. The seventeenth century was a time of turmoil, civil war, regicide and religious upheaval; as if this wasn’t enough it was also a superstitious age and an age of dreadful and incurable diseases. All of these factors created a perfect recipe for social and economic uncertainty across England. 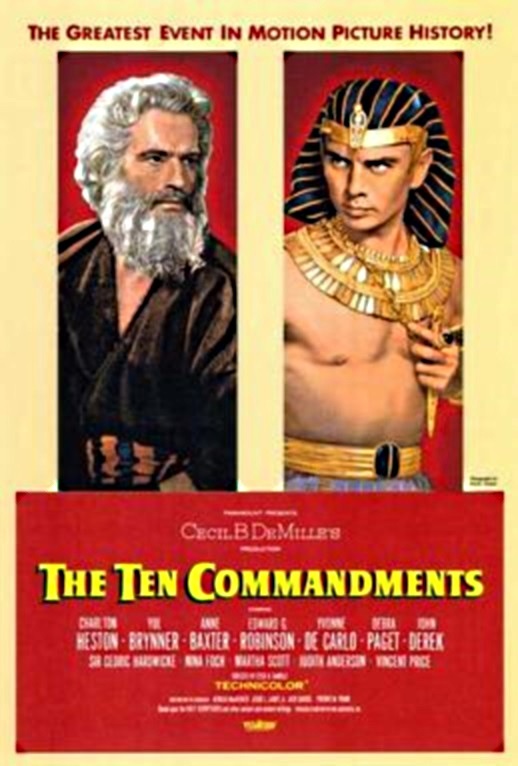 In such parlous times, people often look for scapegoats…. 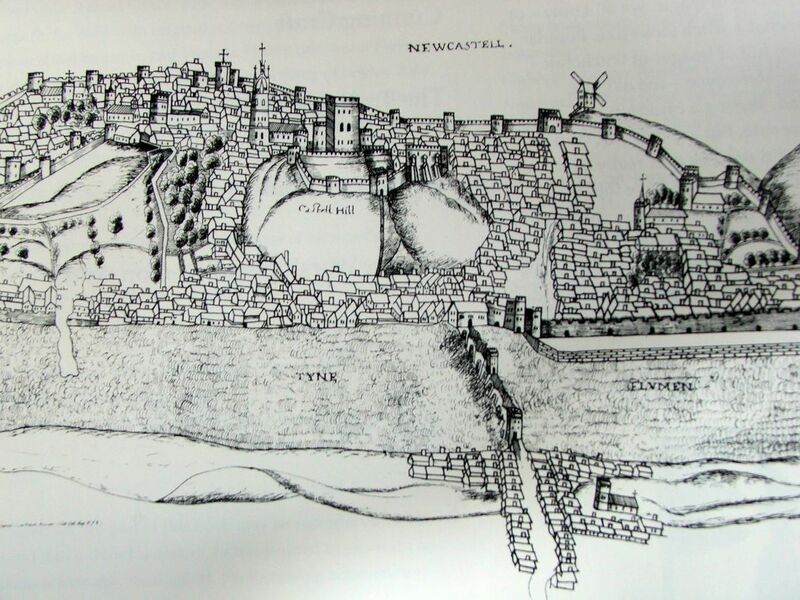 Newcastle upon Tyne, in the mid seventeenth century, had been in the thick of things. Burgeoning industrialisation on Tyneside as a whole had created a large class of poor and often disgruntled workers – as many as 40% of households in Newcastle did not have a fireplace. In 1636 the city had been visited by plague and the death toll had been devastating – out of a population of 20,000 people 7,000 died. 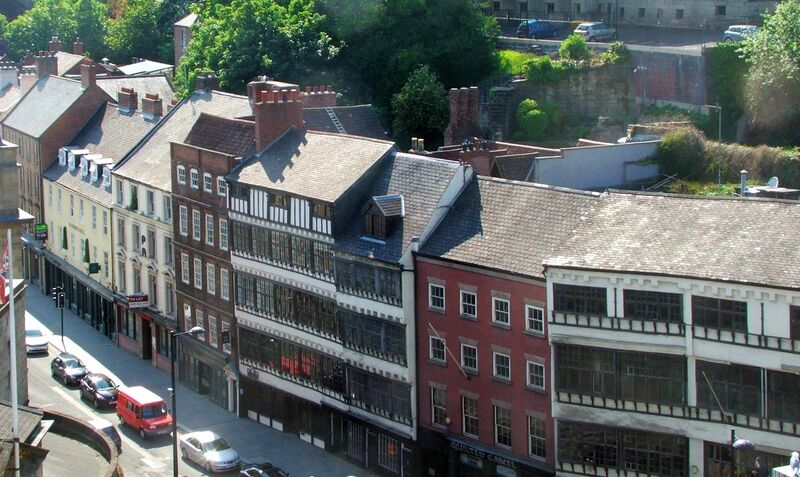 In the impending Civil War, Newcastle found itself on the Royalist side and as a hub of the Coal trade was a rich source of funds for the king. As tensions rose in the Kingdom, Charles I decided to introduce (or should that be foist?) the English Prayer Book on Scotland. London merchants saw this as a perfect opportunity to hit out at the King, and hit him where it hurt most (in his pocket) so they encouraged the Scots to capture Newcastle in order to disrupt the highly lucrative coal monopoly. 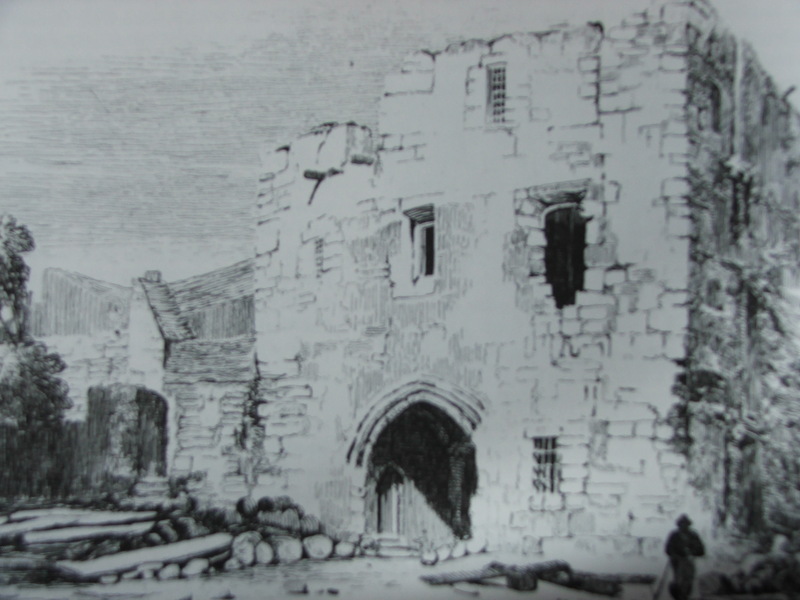 The town was captured in 1640 then again following a siege in 1644 – this time the Scot’s army stayed for two years. By the end of 1640’s, with the Civil War ended, the Corporation of Newcastle was now in the hands of the Puritan’s in place of its former Royal Burgesses. The new Puritan Corporation was no less harsh or money-grubbing than the previous one, and continued to exercise the lucrative monopoly on the coal trade much to the annoyance of one Ralph Gardiner. It is thanks to Gardiner and his book which railed against the Coal monopoly that we have so much information on one of the largest witch trials in England – that of the Newcastle Witches. Gardiner was an angry man. He was unhappy at the punitive tax on the coal trade exerted by Newcastle, and the attendant risk to ships and men sailing up the perilous river Tyne to pay it. Gardiner felt North Shields was the logical focus for this trade being ideally placed at the mouth of the Tyne rather than several miles in land. To emphasise his case Gardiner also draws on other injustices carried out by the Corporation which further illustrate the arbitrary oppressive nature of the corporation’s rule. As part of his book he looked at the brutal public humiliations visited on citizens of the town – the scold’s bridal being one such punishment. He also took testimonies relating to the notorious witch trials of 1649/1650. One has to respect the bravery of his witnesses in standing up to the witch-finder, one woman who Gardiner spoke too – Elinor Loumsdale – had actually been prosecuted for trying to dissuade witnesses giving evidence against the accused. Fear of witchcraft was rife in Newcastle. The new Puritan Regime fostered this fear with a more fundamental reading of the Bible especially the passage: ‘thou shalt not suffer a witch to live’ (Exodus XX11, V18). In March 1649 the council of Newcastle heard a petition concerning witches. The Puritan council demanded that all witches be tried and sent to Scotland for a witch-finder, or witch-pricker, to assist in rooting out these individuals. One such man was currently wreaking havoc in Berwick and at 20 shillings a head had rounded up 30 unfortunates whom he accused of witchcraft. It is recorded that some of them confessed to use of harmless magic, whilst others claimed to have been present at Preston (a battle where witchcraft was blamed for the kings defeat). Sensing a profit to be made further south, this unnamed witch-pricker who, according to one local MP ‘professeth himself an artist in that way’ found his way to Newcastle by December 1649. The newly powerful Puritan’s of the Corporation encouraged the plague and war ravaged population of the city to vent their frustrations on their neighbours, and they heralded the arrival of the witch-pricker very publicly. The Magistrate’s bellman went about the town announcing that anyone with a complaint against a witch should denounce them, the accused would be brought to the town hall and tried. It seems that many Novocastrians embraced the opportunity to settle old scores and soon 30 people had been brought before the magistrates and their witch-pricker. Newgate Prison, Newgate Street c1823, where the Witches were imprisoned. Methods used by witch-finders and witch-prickers were quite brutal. Although torture was not legal in England, the accused would often be deprived of sleep or walked for hours until they confessed. They were also subject to public humiliation, being stripped and searched for witch marks which were then ‘pricked’ by the witch-finder. If no blood flowed then they were guilty of witchcraft. It was not unusual for witch-finders to employ retractable bodkins to prick their victims thereby ensuring a guilty verdict – and their fee. Of the 30 unfortunate women accused at Newcastle, 27 were found guilty, 2 were declared innocent…but it was the final woman who caused some controversy. It seems that this final accused was not the usual warty old crone of stereotype, but a quite handsome and well-presented young woman. The woman had been ‘pricked’ by the witch-finder and had not bled thus condemning her to be hanged. The power of gossip and calumny was all that was required to bring about a successful accusation of witchcraft and clearly young and attractive women could be just as vulnerable to slander as the more obvious targets: old crones. However in this case Hobson insisted that the process was repeated in a more decent manner, this time the woman bled and was thereby acquitted. Nevertheless, despite Hobson’s intervention, of the remaining accused 17 women and 1 man were hanged on the Town Moor in August 1650. 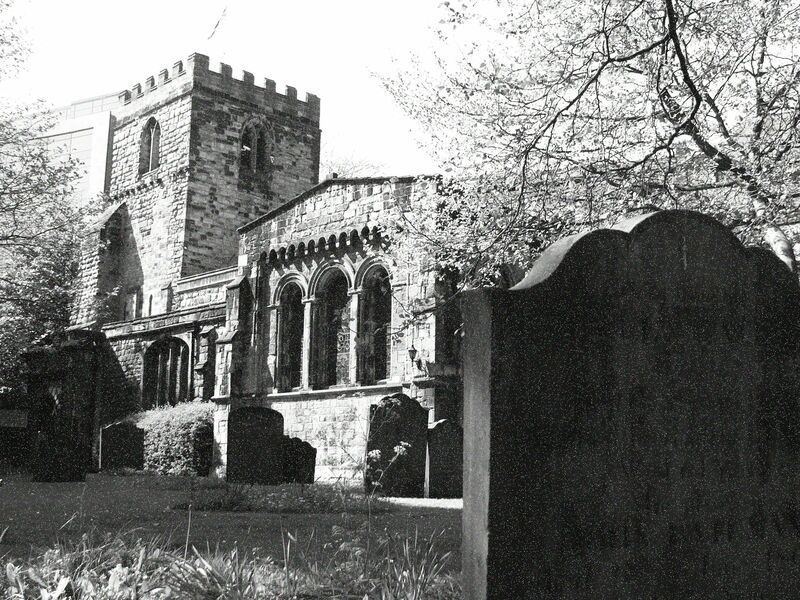 Their remains were buried in unmarked graves in St Andrew’s Church Newcastle. Too often these sinister individuals seem to escape justice, however, in this case the witch-pricker himself met a sticky end. Heading into the remote reaches of Northumberland in order to pick up more fat fees for his vile trade, the witch-pricker found himself arrested by JP Henry Ogle. Escaping into Scotland, Gardiner says that he was later hanged after confessing to causing the deaths of 220 English and Scottish women. Perhaps this was just Gardiner emphasising that the Corporation had been at best hoodwinked or at worst complicit in murdering its citizens, Gardiner certainly seems to have thought that the whole thing was hokum, however, I like to think that in this case at least Karma caught up with the witch-finder. Have the Newcastle witches resurfaced after 350 years? In 2008 the Newcastle Chronicle reported that teeth, ribs and skull bones had been recovered during renovations to St Andrew’s Churchyard. The bones were believed to be those of the Newcastle Witches finally uncovered after being flung in an unmarked pit following their execution. It was claimed that the bones could be cursed as a workman is said to have come up in blisters and boils following handling the bones….it seems that the even after 350 years very little has changed and people are still willing to attribute bad luck to witches…. 2 & 3. 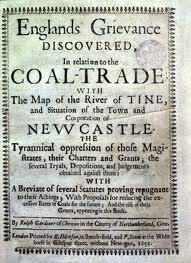 Ralph Gardiner’s England’s grievance discovered, in relation to the coal-trade(1655). There is more to Essex than TOWIE! For many people when asked what they know about the county of Essex, the most common responses are TOWIE, Essex girl jokes (What did the Essex girl say after the doctor told her she was pregnant? Is it mine? ), Jodie Marsh, girls in miniskirts and white stilettos dancing around their handbags and Jamie Oliver cooking up school lunches whilst chattering away in his Estuary English patter. Negative stereotypes have left Essex as almost a poor relation to other counties in England a reputation which it definitely does not deserve! Essex is rich in history with over 14,000 listed buildings, the oldest Roman remains in Britain, a unique housing style known as weatherboarding (which was adopted in America and is now known as the New England Style), the oldest surviving wooden church in the world and the rumoured burial place of King Harold II. There is a darker side of Essex which has almost been forgotten, away from the chocolate box villages and the dubious delights of the seaside town of Southend. It is a county steeped in a tradition of witchcraft which has spanned centuries. Essex was the starting point in 1644 of the worst witch hunt ever initiated in England, led by the witch-finder General Matthew Hopkins, with its inhabitants suffering indescribable horrors at his hand; the birthplace of James Murrell one of England’s greatest “cunning men” and; Canewdon, a small relatively nondescript village which was believed to be a centre of witchcraft for an area which became known as “The Witch Country”. 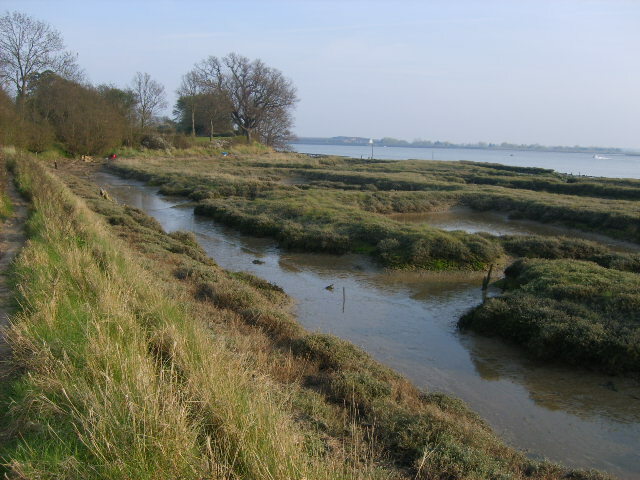 Located in the Rochford District on the Crouch Estuary, the village is sited on the highest hill of coastal Essex. Its name derives from the Saxon meaning “hill of Cana’s people”. Local tradition has it that a camp near the village was used by Canute during the Battle of Assandun. Even today Canewdon has a lonely feel to it. Surrounded by the mudflats and marshes of the Thames Estuary it is easy to imagine how isolated and insular the community must have been in the past. Dominating the village is the 14th century Parish Church of St Nicholas. 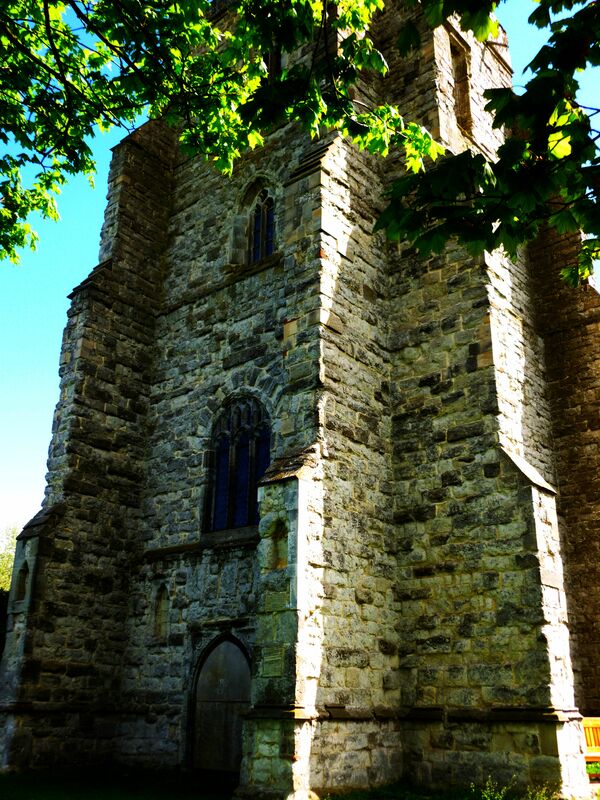 The church stands on a ridge overlooking the River Crouch, its most striking feature being the 15th century tower which was built to commemorate Henry V’s victory at Agincourt. 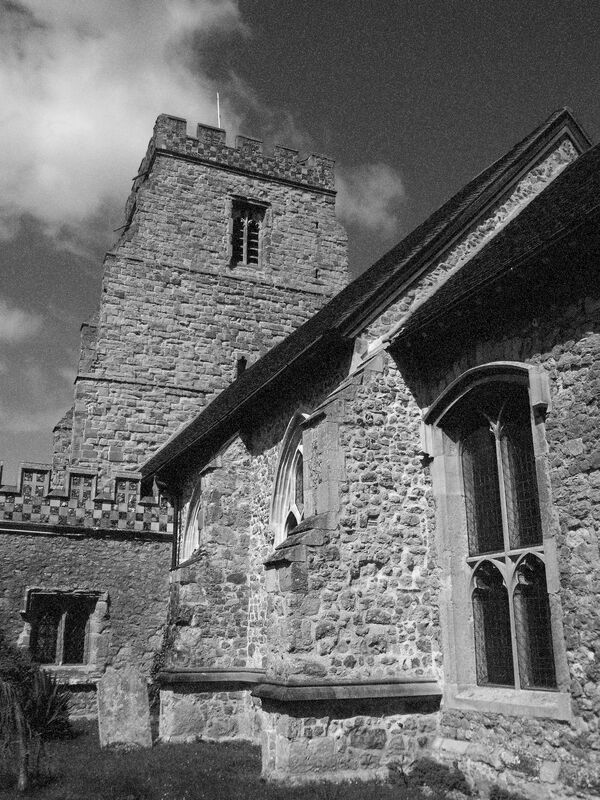 A number of ghost stories abound in the area giving it the reputation of being one of the most haunted places in Essex. Most reports centre on the church, in particular around the church porch, graveyard and west gate car park. 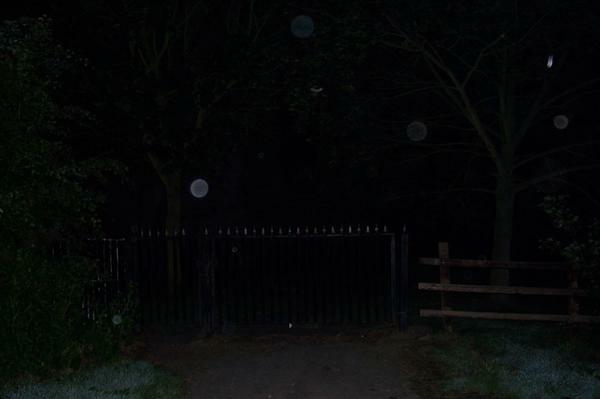 The most widely seen apparition is that of a grey lady with a poke bonnet and no face who has been spotted floating on moonless nights from the church’s west gate towards the river. Another popular story refers to a headless ghost seen in the church who has a tendency to pick unwary victims up and deposit them in a nearby ditch. 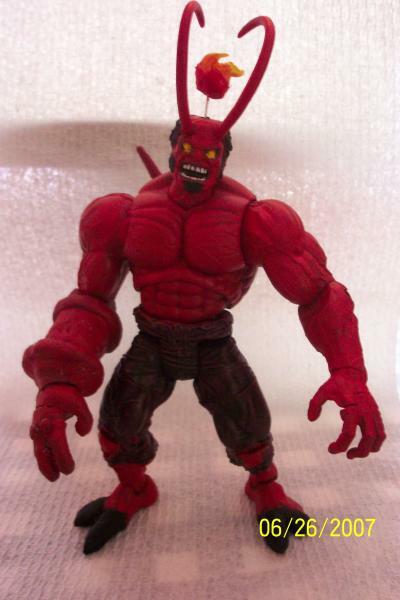 Locals also reported in the 1980s that a man on a motorbike was chased by a small demonic entity that was just as fast as the bike. Many of these ghosts are believed to be the spirits of witches who wander the earth unable to rest due to injustices committed against them when they were alive. If so, then historically speaking there would only be a miniscule pool of potential candidates to choose from, as unlike many other places in Essex, in Canewdon only three cases of witchcraft were ever recorded as being brought to trial. 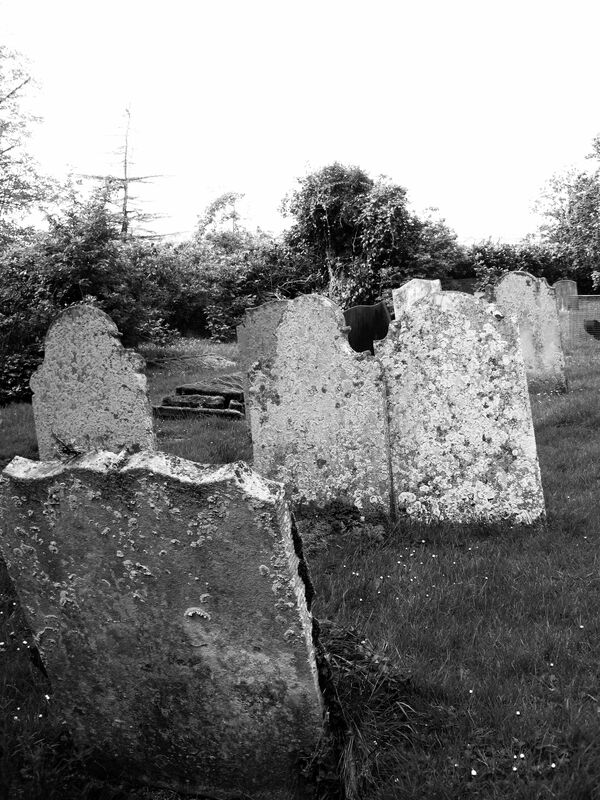 The notorious Matthew Hopkins steered well clear of Canewdon – was he afraid…? When you mention witches, most people would immediately think of Pendle, Berwick and of course Salem. Very few would name Canewdon; to be honest most people who live in Essex have never even heard of it. This is probably due to the fact that it had no sensational witch trials which could capture the public’s imagination; the village wasn’t even visited during Matthew Hopkins’ witch hunts. It is hard to imagine that if the connection between the village and witchcraft practice was as deeply rooted as folk memory claims how it managed to escape Hopkins’ attention. There are a number of possibilities: maybe land travel was too difficult due to the extremely isolated nature of the place; maybe the village was too poor to afford Hopkins’ services; maybe the witchcraft association does not go back as far as many people believe; was the link so strong that the villagers did not want outside interference and that witchcraft was silently accepted or were the witches considered too powerful to risk offending? 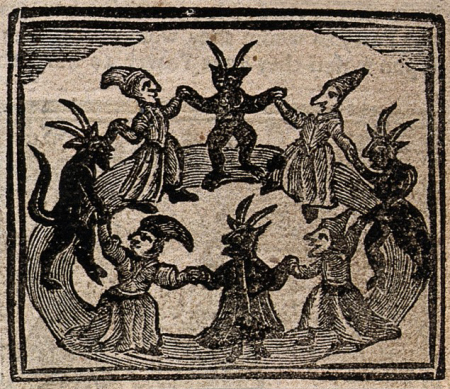 Traditional image of witches dancing with devils. Public domain. It is very difficult to precisely date when Canewdon became synonymous with witches. The three witchcraft trials span the short space of ten years. In 1580 the spinster Rose Pye was accused of bewitching to death Johanna Snow, a twelve month old child at Scaldhurst Farm. She pleaded not guilty and was acquitted but died in jail probably because she was unable to pay the fee needed to secure her release. In 1585, Cicily Makyn was also charged with practising witchcraft and given five years to mend her ways. In 1590 the ‘Goodwife’ Makins of Canewdon was indicted for witchcraft, as this trial occurs five years after the one involving Cicily Makyn it is safe to assume that they were one and the same, allowing for medieval flexibility with spelling. It appears that Cicily did not heed the warning to reform and as punishment was excommunicated. 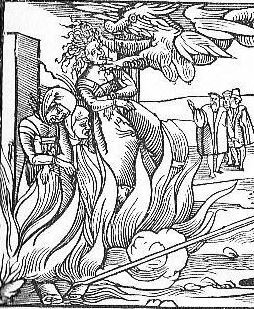 So only two women in Canewdon were ever charged with witchcraft, one found innocent and the other found guilty and excommunicated but (although a severe punishment in Medieval England and regarded as damning the soul to everlasting torment in hell) not imprisoned or hanged. Why the leniency? Did they believe witches could be reformed? One saying referring to Canewdon states that there will always be six witches in Canewdon, three of cotton (lower classes) and three of silk (upper classes). The use of the word cotton does help to date the saying as cotton only become widely available in Britain in the first half of the 19th century during the Industrial Revolution. Before that wool would have been the material of choice for the lower classes. It does seem that about this time stories of witchcraft do seem to resurge. Does this mean that for two centuries, the link was broken? Or simply that nothing had happened that would have been noteworthy to outsider. I personally feel that the latter explanation seems more plausible as otherwise how would it explain the presence of two men whose powerful personalities and fearful reputations brought the village and surrounding area to the attention of the outside world. I think it very likely their decision to practice in this area and their success was largely down to the strength of belief in witchcraft and magic which the locals held, which had been built up over generations. James Murrell was born the seventh son of a seventh son in Rochford in 1780. In 1812 Murrell moved to Hadleigh, Essex and set up business as a shoemaker. Somehow about this time he met a witch/wizard called Neboad from whom he learnt about the craft. His natural skill in the art led him to give up shoe making and become a full-time ‘cunning man’. His fame grew as a cunning-man of unequalled ability and he was sought out by both local people and wealthy aristocrats from further afield. It was said that he would always ask people if their problem was ‘high or low’ i.e. did they need material or magic help. Material help would involve the use of herbal potions to combat ills. To tackle supernatural forces, Murrell would summon good spirits or angels to fight the bad ones. He was an expert in astrology and was consulted on a wide range of issues including finding lost objects, clairvoyance and his ability to cast and break other witches spells. For instance one legend refers to his using a potion to send a ‘burning sensation’ to a gypsy woman who was believed to have cursed a girl. The potion when heated exploded and the next day the body of the gypsy was found burnt to death and the girl cured 1. Many stories about Murrell were passed down by word of mouth and storytelling creating a legend around a man who was said to be the greatest witch/cunning man who England had ever seen. His connection with Canewdon was also a strong one. The villages lie about nine miles from each other. It was reputed that Murrell was once engaged in a contest with a Canewdon witch to prove who was the most powerful. Commanding her to die, the witch immediately fell down dead. This ability to control other witches appears in another story. According to the legend the Canewdon villagers petitioned their vicar, Rev William Atkinson “to let Murrell exercise his whistling powers and make the witches confess themselves by dancing round the churchyard.” The vicar refused to give in to their demands as he knew such an exercise would reveal his own wife to be a witch 2 (his wife Mary Ann and her sister, Lady Lodwick were believed by many to be part of a coven in existence prior to 1860). 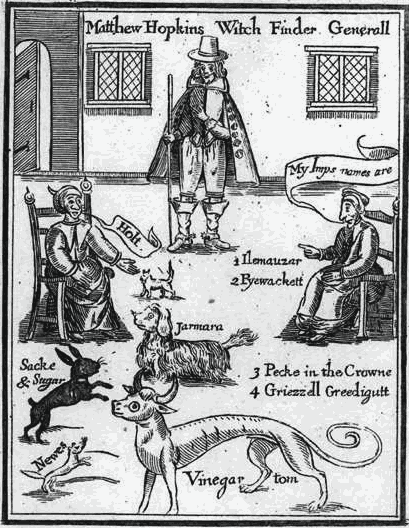 Apart from emphasising the traditionally believed link between the church and witchcraft these stories also confirmed for many Murrell’s position as Master of Witches. Despite a commanding personality and the powerful aura that seemed to surround him, Murrell appears to have used his skills to help the people who came to him. His fees were modest and even in old age when he had in general given up practising his arts he would if a person was in dire need still provide assistance. You get the feeling that he was respected and even liked (albeit with more than a tinge of caution), not so with another Master of Witches, who was reputed to have more sinister intentions. Believed to be a hereditary witch, he performed many of the same services as other ‘cunning folk’ such as providing herbal remedies and finding lost objects but he was also believed to have used darker, malevolent magic to curse people. He was famed for his control of animals especially horses and legend has it that he had the ability to work at a superhuman rate possibly with the aid of his imps (familiars). It was claimed that many locals were terrified of offending him for fear of falling sick, for which the only cure was a touch of his walking stick. A touch of his stick was also believed to be able to stop the threshing machines. Although the famous saying implies that there were only six witches in the village, many locals believed the number to be nine with many more of silk than cotton. These malevolent witches were not believed to know each other’s identities but were all under the control of one wizard or Master of Witches i.e. Pickingill who could summon them at will by means of a wooden whistle. 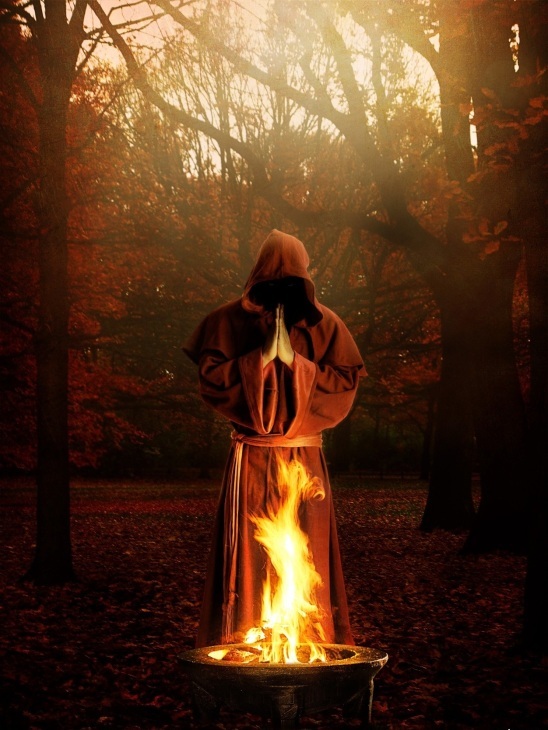 It was also rumoured that he controlled nine covens established in Essex, Hampshire, Hertfordshire, Norfolk and Sussex that had been set up under his guidance. Pickingill famously wrote “The Pickingill Papers” about the history and anthropology of Wicca and much more. Aleister Crowley was also thought by many to have been one of his students. Many modern-day Wiccans separate themselves from the Pickingill tradition due to the perceived dark and satanic nature of his practices. For others Pickingill’s reputation for evil practices was ridiculous. They instead regarded him as simply adhering to the traditional practices of the cunning folk and a man who was “in his later years more interested in caging (sic) beer and getting a rise out of the people than anything else.”5 Whether or not you believe in either Murrell or Pickingill abilities is in many ways irrelevant, what is important is the indelible mark they have left on the history and folklore of this part of Essex. Various legends have grown up surrounding the church and witchcraft these include the belief that if a stone falls from the tower it means that one witch has died and another has taken her place in the coven, that there will always be witches as long as the tower stands and that a novice witch seeking a coven should perform a dance to summon the devil. One other myth has numerous variations. All of which can be seen to contain a subtle warning to take care when walking around the tower as you can never tell what might happen! It is believed that depending upon how many times you go round and in what direction you are bound to have a supernatural encounter e.g. anyone who walks around the tower at midnight will be forced to dance with witches; if you walk around the church witches will appear and sing to you; if you run around the tower backwards three times you’ll see a ghost at the top of the tower; if you run three times anti clockwise a portal will open and you will go back in time; if you walk around seven times on Halloween you’ll see a witch and thirteen times you will become invisible and if you run anti-clockwise round it on Halloween, the Devil will appear. All of this has made the church very popular, so much so that the police now cordon off the area to prevent investigators and ghost hunters from swarming the village at Halloween. People visiting the church have witnessed strange phenomena including figures standing under the church portal and orbs in the church. One visitor claims to have been terrified when he saw women dancing in the churchyard after taking a walk around the tower. Not surprisingly the ubiquitous Yvette Fielding and the “Most Haunted” team investigated St Nicholas. They claimed to have felt the presence of Matthew Hopkins, which is strange as according to all records he never visited the village. Maybe his ghost was lost or he had decided to make up for his negligence when he was alive! 1 Maple, Eric (December 1960). “The Witches of Canewdon”. Folklore Vol 71, No 4.